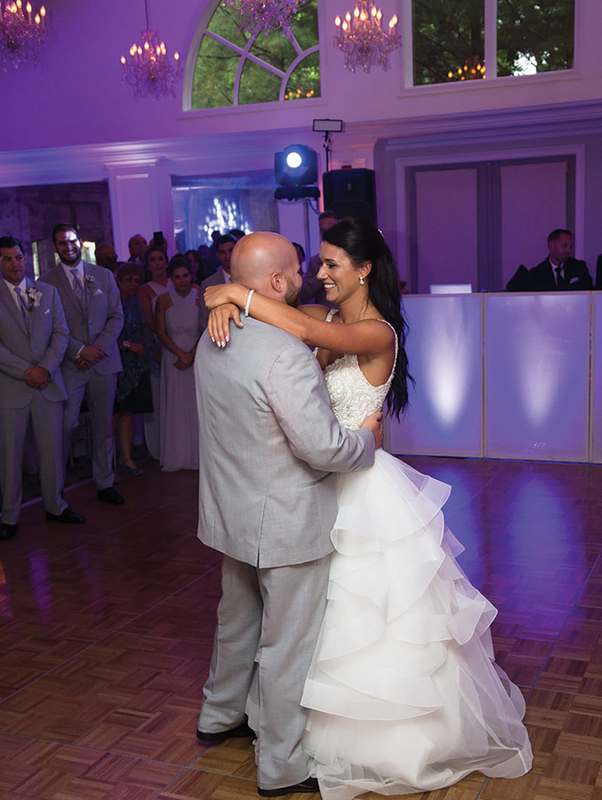 “Will and I met while I was completing my undergraduate degree,” says recent bride Theresa Marriott, who married William Loftin at New York Country Club. “I was in my senior year and was assigned my final internship at an elementary school near the college. Will was the special education teacher across the hall. We worked together for the next few months and shared students. A few weeks later, my grandma got sick and had to go to the hospital, so I missed a few days of student teaching. “Will got my number and texted me to make sure my grandma and I were OK. From that day forward, we talked every day. I was thrilled, since I had called my mom and best friends the first day I met him and said I knew he was the one. We ended up officially dating soon after. “Every summer, Will and I travel to my hometown of Peekskill, NY to spend time with my family. This trip was in July 2017 to celebrate my sister’s graduation from high school. There was a big party planned so all our family was in town, including Will’s parents. Will knew how important it was for me to have our families there when he proposed. We went on a walk along the Hudson with my parents and two sisters, as well as his parents. When we reached the overlook, Will got down on one knee. I had no idea! It was absolutely perfect!" 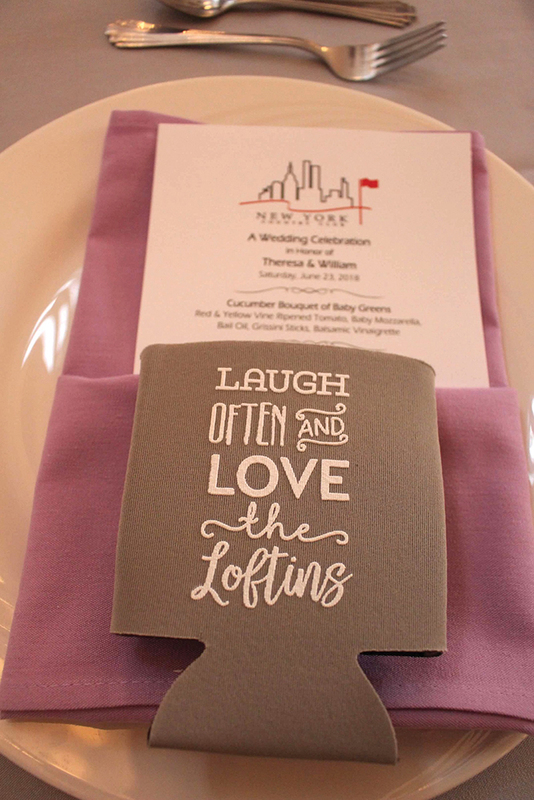 “We knew we wanted a venue that felt inviting and had a sense of elegance. 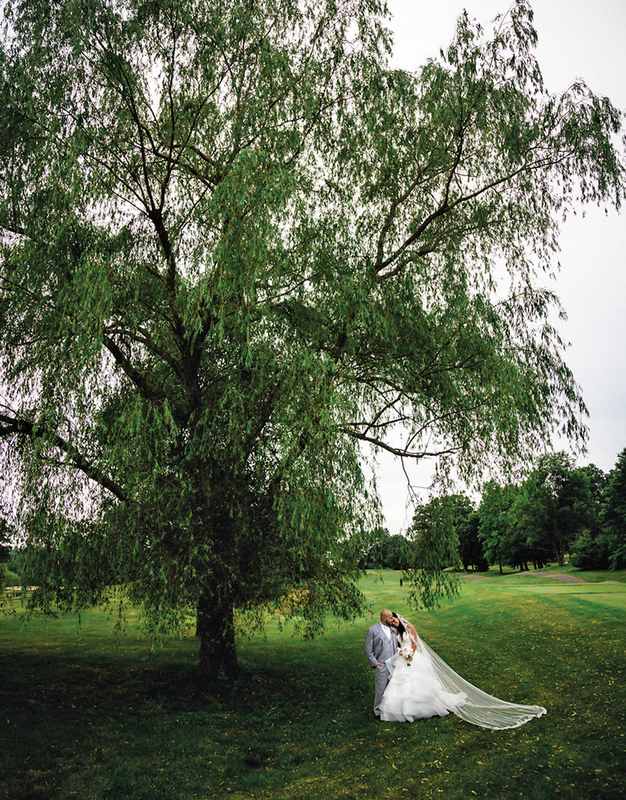 The second we pulled up to New York Country Club, we felt something special.The property was beautiful. We walked through the doors and it was absolutely stunning. Everything from the carpeting to the chandeliers was outstanding and the color scheme was exactly what we were looking for. 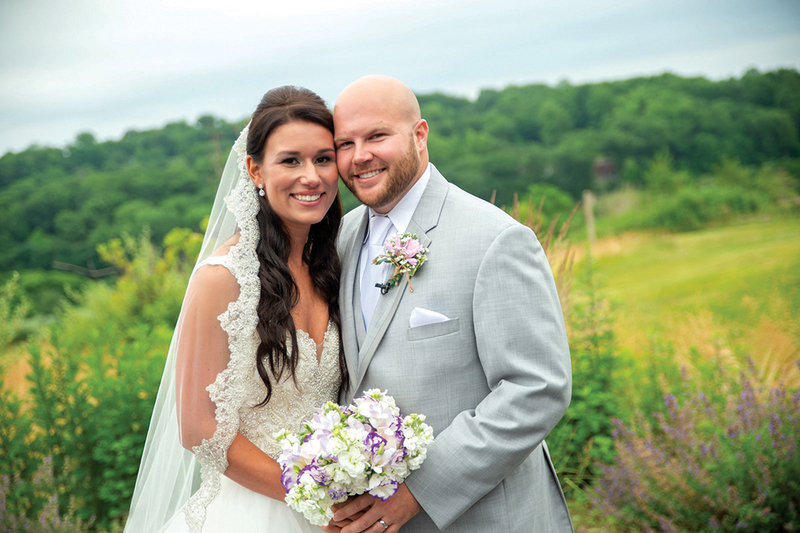 “We were unsure about doing the ceremony at the venue, but once we saw their ceremony area, we were blown away! You can see the NYC skyline perfectly. We wanted a venue that had a mixture of inside and outside areas and this was our exact vision! 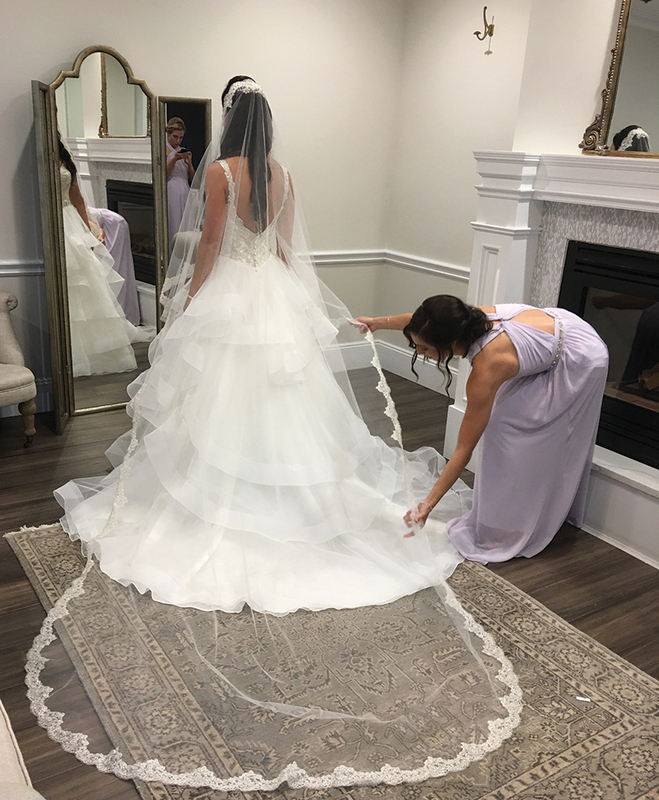 I had a big bridal party and the bridal suite was perfect. There is even a fun locker room for the guys! 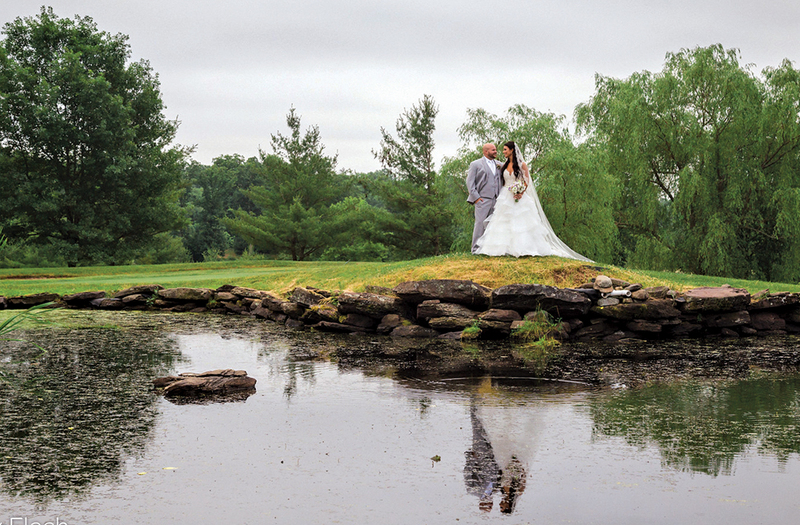 New York Country Club also has breathtaking grounds for wedding pictures. 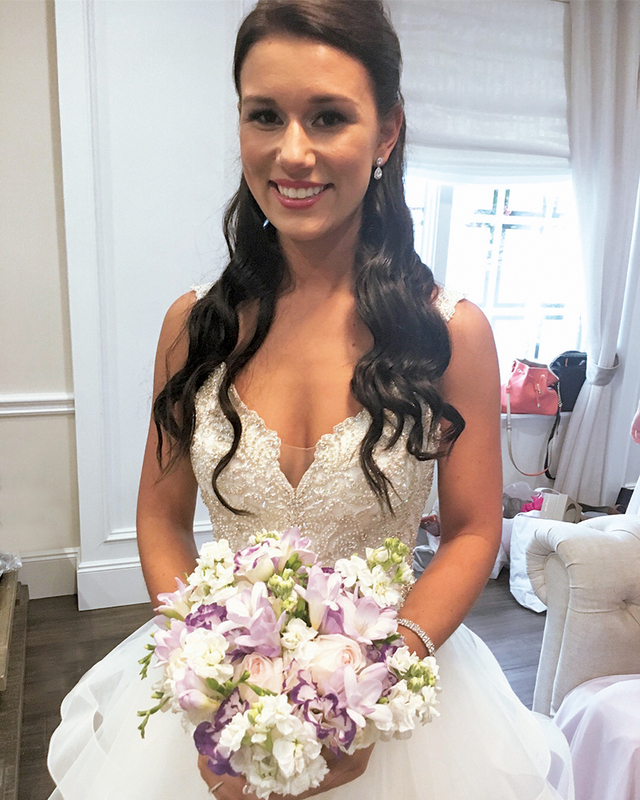 “Family and relationships are important to us so we wanted a staff who would be there for us. Eric Handler and the staff become your family during your planning. We were planning a wedding from out of town and it was hard, but Eric was always available and answered every question we had, guiding us in the right direction when we needed help. He has a lot on his plate but he always made us feel like we were the only couple and the only day he had on his calendar. 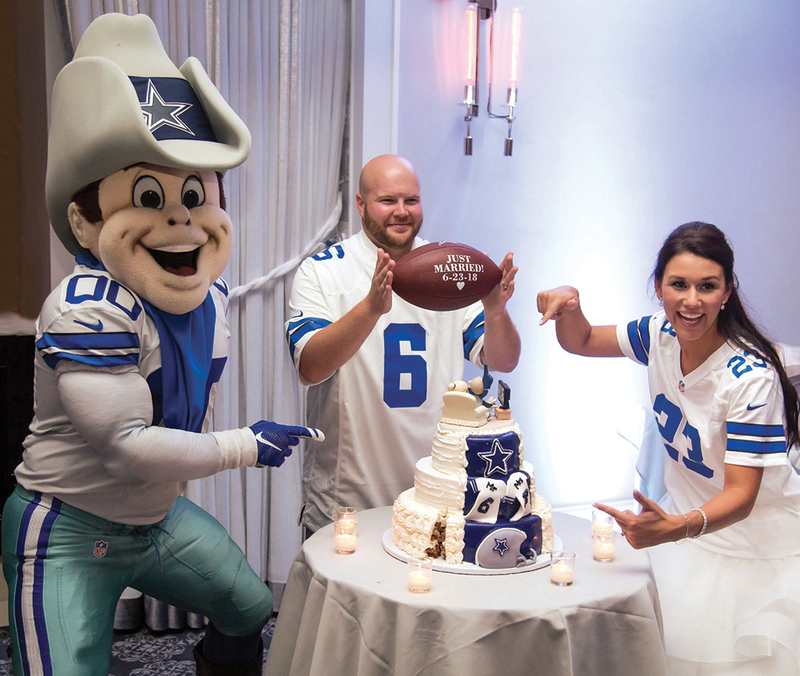 “We had the Dallas Cowboys mascot travel to our wedding and Eric took care of it and had everything on schedule. The day after the wedding we went to get our decorations and everything was cleaned and neatly boxed up for us. 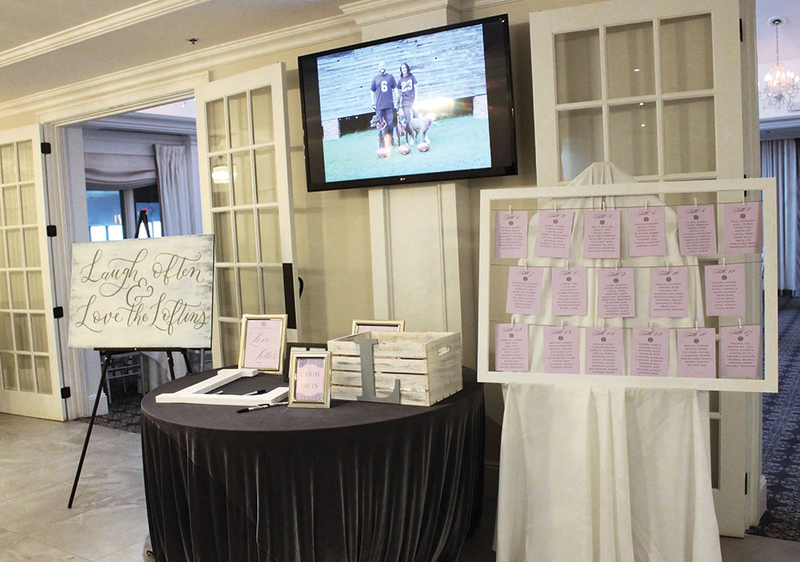 The entire staff, including Eric and the bridal assistant Christina, were more than we could have ever imagined. Our day was perfect. 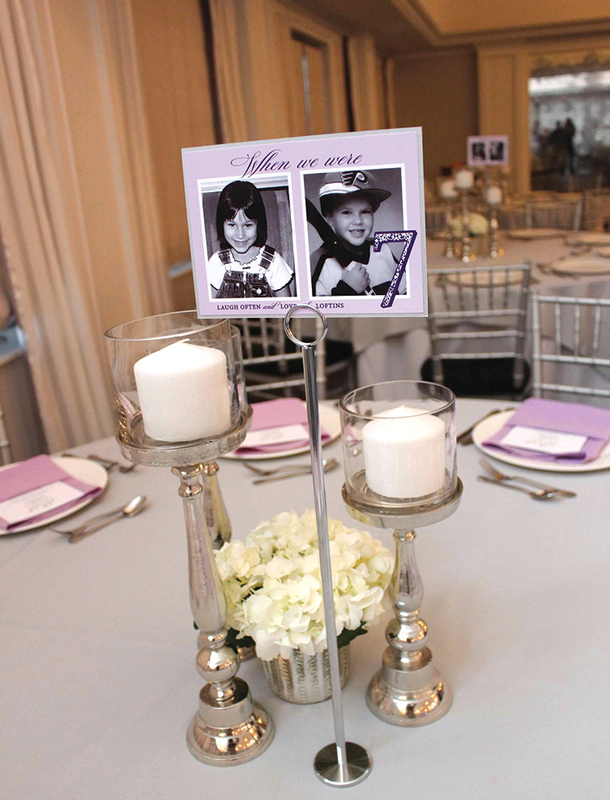 “Theresa and Will were doing all their planning from South Carolina, which was a challenge,” says Eric Handler, director of catering at New York Country Club. 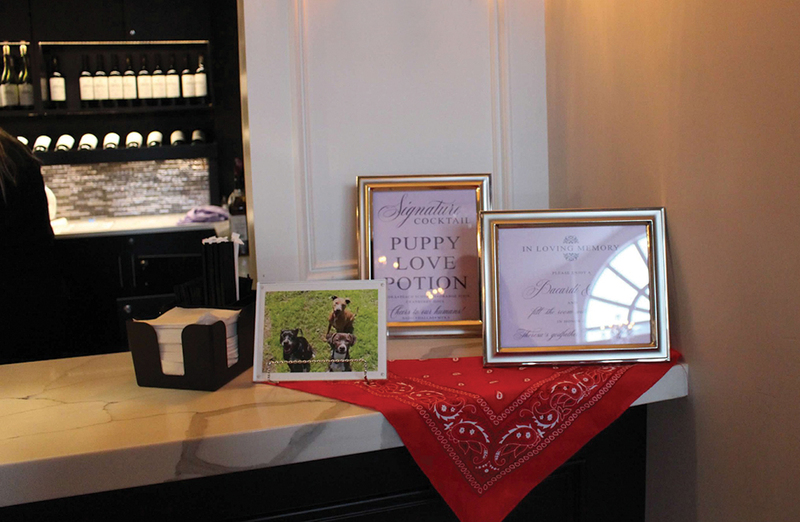 "We took advantage of the opportunities they had to stop by the venue, making sure to go over all the details regarding their décor, menu items, and day-of timeline. 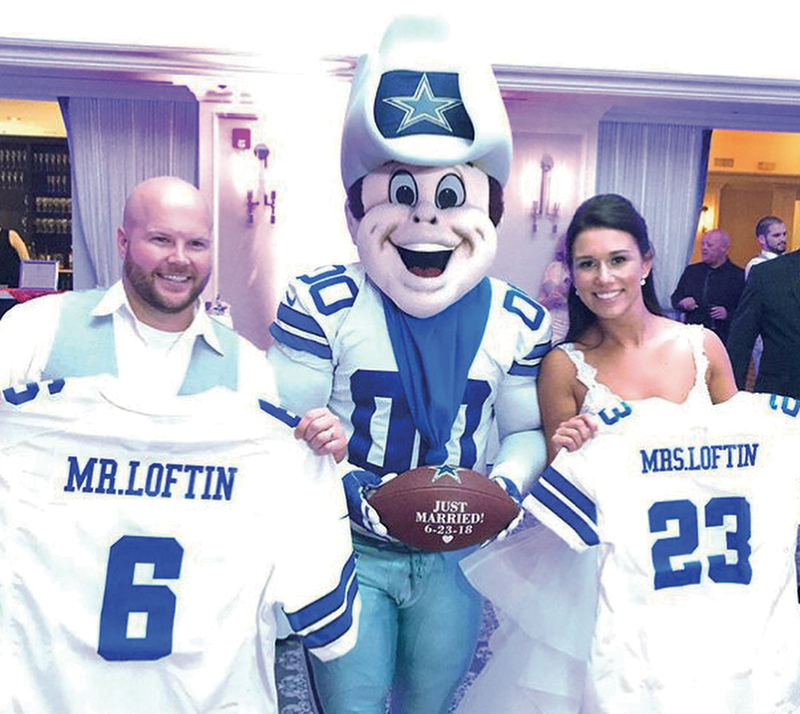 “They are huge Dallas Cowboys Fans, so not only did they dedicate the back of their wedding cake to their love for their favorite team, but they also made arrangements for the mascot, Rowdy, to join the wedding reception. Rowdy came bearing gifts of personalized uniforms and a football for the newly married couple. Eric tells us that New York Country Club combines an indoor/outdoor space for the cocktail hour, plus a Grand Ballroom with high ceilings and tasteful chandeliers. “Our cocktail hour space has views of the Manhattan skyline in a glass-enclosed, temperature-controlled room and our outdoor ceremony space is a covered patio that overlooks our picturesque golf course.